Take care of cleaning, regenerating, and protecting your fabric convertible top with this all inclusive kit! Aaah… You're already sighing in relief because of the very existence of this all inclusive kit. You're about to give your car top a dream vacation, and it just may inspire you to take one of your own. Hit the open road after you've given your convertible the "aaah" it needs, the RaggTopp Fabric Convertible Top Care Kit. I use it, my friends use it, and it's a forum favorite. Make it yours and join the club! In one package you will receive everything you need to make sure your fabric convertible is ready for anything! The Haartz Corporation and Rode & Schwalenbert Gmbh. 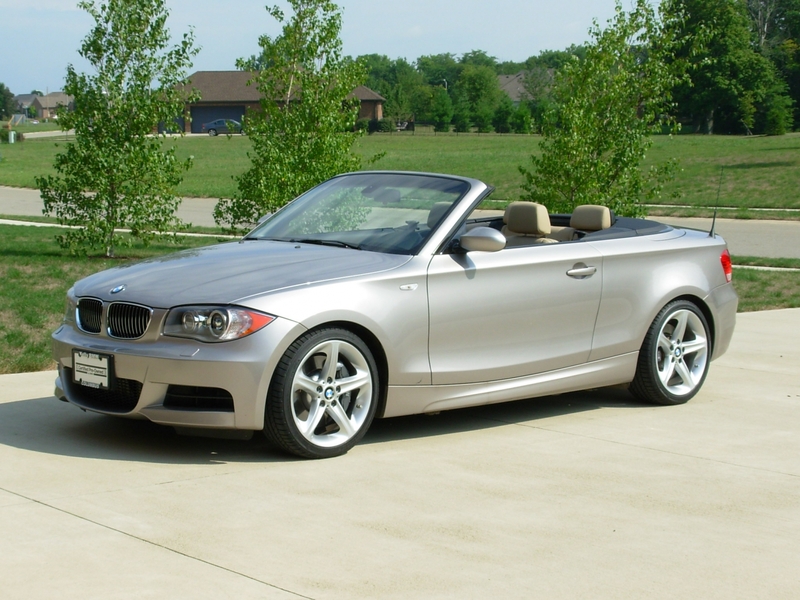 (Germany), the world's leading manufacturers of convertible topping for virtually every American and European convertible automobile manufactured throughout the world, exclusively recommends using RaggTopp Cleaners and Protectants for protecting your investment against the elements of nature and man. RaggTopp Fabric Convertible Top Protectant is now VOC-compliant! Easy-to-apply aerosol formula allows you to evenly coat your fabric top with the best protection money can buy! Over three years of product testing has produced a polymer formula that creates a superior protective barrier that micro-bonds to the convertible top and protects it from the elements. 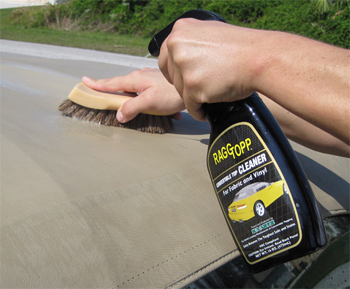 RaggTopp Fabric Protectant renews and extends the life of fabric convertible tops and covers by restoring lost water and stain repellency to like-factory-new condition. 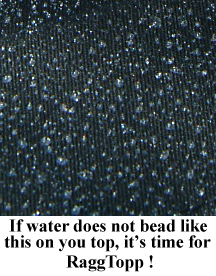 Protect and repel against acid rain, along with U.V. rays, smog, tree sap, bird droppings, salt, tar , dirt, grease, and grit. To use: Rinse top thoroughly to remove loose contaminants. Spray RaggTopp Cleaner evenly over wet surface and scrub lightly with a soft brush or towel. Allow tough stains to soak for 10 to 20 minutes before scrubbing. Rinse top thoroughly and allow to dry completely before applying protectant. Shake RaggTopp Protectant well before applying. Spray in a gentle sweeping motion 12-14 inches above the convertible top. Apply an even coat and allow it to dry for 15 minutes before applying another coat. It will take 24 hours for the protectant to fully bond to the fabric. 14 oz. RaggTopp Protectant Purchase the Kit and SAVE! RaggTopp Fabric Convertible Top Protectant. Product works great and I've used it for years. Once a year does it for me but not on the road all the time. Would give it 5 stars if not for having to cover the entire car against overspray which is necessary. I wouldn't spray it without doing it or you'll be cleaning and re-waxing. Good product and worth the effort and price. Great protection for your rag top. quality and will stick to your paint. I had a tough time getting off my back window. This product did not remove stains from my 2004 T-bird cloth top. On the positive, I was immediately refunded my money with no problem.